This article is about the fictional Star Trek exercise. For the 1914 historical incident, see Komagata Maru incident. For other uses, see Kobayashi Maru (disambiguation). The Kobayashi Maru is a training exercise in the fictional Star Trek universe designed to test the character of Starfleet Academy cadets in a no-win scenario. The Kobayashi Maru test was first depicted in the opening scene of the film Star Trek II: The Wrath of Khan and also appears in the 2009 film Star Trek. Screenwriter Jack B. Sowards is credited with inventing the test. The test's name is occasionally used among Star Trek fans or those familiar with the series to describe a no-win scenario, a test of one's character or a solution that involves redefining the problem and managing an insurmountable scenario gracefully. The notional primary goal of the exercise is to rescue the civilian vessel Kobayashi Maru in a simulated battle with the Klingons. The disabled ship is located in the Klingon Neutral Zone, and any Starfleet ship entering the zone would cause an interstellar border incident. The approaching cadet crew must decide whether to attempt rescue of the Kobayashi Maru crew—endangering their own ship and lives—or leave the Kobayashi Maru to certain destruction. If the cadet chooses to attempt rescue, the simulation is designed to guarantee that the cadet's ship is destroyed with the loss of all crew members. Abandon the Kobayashi Maru, preventing war with the Klingons but leaving the crew and passengers of the freighter to probable death. If the cadet chooses to rescue the Kobayashi Maru's crew and passengers, the scenario progresses quickly. The bridge officers notify the cadet that they are in violation of the treaty between the Federation and the Klingons, giving the cadet a chance to turn back before finally committing to this dangerous action. As the starship enters the Neutral Zone, the communications officer loses contact with the crippled vessel. Klingon warships then quickly appear on an intercept course. Attempts to contact them are met with radio silence; indeed, their only response is to open fire with devastating results. No defense is sufficient against the Klingons and the cadet's ship is eventually defeated (and destroyed if the scenario plays out fully). Not depicted on film are the possible consequences of rejecting the rescue appeal. These are discussed at length in novels and video games and include mutiny of the crew over being asked to abandon civilians to death; violations of Starfleet policy regarding rendering of aid to distressed vessels; Klingon incursion into Federation territory responding to "provocation" by the Kobayashi Maru; or the weight on the cadet's conscience caused by refusing to render aid. The objective of the test is not for the cadet to outfight or outplan the opponent but rather to force the cadet into a no-win situation and simply observe how he or she reacts. The opening of Star Trek II: The Wrath of Khan is itself a Kobayashi Maru test, but this is not revealed until after the end of the scene, leading the audience to believe that this is a genuine combat scenario involving the USS Enterprise. The test-taker, Saavik (Kirstie Alley), is in command of the simulated USS Enterprise. During the test, Spock (Leonard Nimoy) serves as science officer and second-in-command, Dr. McCoy (DeForest Kelley) is standing by on the bridge, Uhura (Nichelle Nichols) as communications officer, and Hikaru Sulu (George Takei) as helm officer; cadets are at other positions. After the distress call is received, Saavik orders Sulu to plot an intercept course with the imperiled ship. Sulu warns Saavik against violating the Neutral Zone but she overrules him. Contact with the Kobayashi Maru is lost, and three Klingon battle cruisers appear on an intercept course. Outgunned and in violation of the Federation–Klingon treaty, Saavik orders a retreat, but the Klingon ships quickly overtake and cripple the Enterprise. Further attacks kill Sulu, Uhura, McCoy, and Spock. Mr. Scott reports that the Enterprise is dead in space. Saavik orders that a log buoy be launched, and that the crew abandon ship. Admiral James Kirk, who had been monitoring the situation from a control room, halts the simulation. All the "deceased" officers rise, and Spock (now revealed as the cadets' instructor) orders the trainees to the briefing room. Saavik protests being subjected to a no-win scenario, opining that it does not properly reflect her command abilities. Kirk explains that the test is meant to reveal how the subject deals with a no-win scenario, and that how one deals with death is as important as how one deals with life. Later in the film, after repeated inquiries from Saavik, Kirk says that the exercise is a true no-win scenario because there is no correct resolution—it is a test of character. The scene used the same set as the bridge of the Enterprise (shown later in the film). The test is a vehicle to introduce the concept of the no-win scenario as presented to cadets. The main plot of the film deals with James Kirk's response when finally forced to face such a scenario in real life. James T. Kirk took the test three times while at Starfleet Academy. Before his third attempt, Kirk surreptitiously reprogrammed the simulator so that it was possible to rescue the freighter. Despite having cheated, Kirk was awarded a commendation for "original thinking". This fact is revealed in Star Trek II: The Wrath of Khan, as Kirk, Saavik and others are marooned. Saavik accuses Kirk of never having faced the no-win scenario. Kirk replies that he does not believe in it. The 2009 J. J. Abrams film depicts cadet James T. Kirk (Chris Pine) reprogramming the test so the Klingon ships' shields suddenly drop, allowing all five to be destroyed with ease so the safe rescue of the Kobayashi Maru can commence. This incident earns him the ire of Spock, who is an Academy instructor maintaining the simulation and creator of the test. During a disciplinary hearing, Spock and Kirk meet for the first time and say many of the same lines that their characters originally used in The Wrath of Khan. Kirk argues that the test itself is a cheat, since the program is unwinnable, and thus cheating is the only solution. Spock counters that the point of the test is not to win, but to face fear and accept the possibility of death, like Kirk's father did. Due to an attack on Vulcan by the film's villain Nero, the hearing is put on hold and left unresolved. In the novelization of the film, the last chapter reveals that the information Kirk used to defeat the test was obtained during his trysts with an Orion female fellow cadet, who talked in her sleep. As Spock had not entered Starfleet Academy as a command-track cadet, he did not take the Kobayashi Maru test while there. In his death scene at the conclusion of The Wrath of Khan, he describes his sacrifice as his solution to the no-win scenario. Depictions of the Kobayashi Maru test are a fairly popular subject in Star Trek literature. Non-canonical examples of Kobayashi Maru tests have been described in many Star Trek novels. Much like Kirk, characters are frequently depicted as coming up with innovative or surprising ways of handling the situation. Chekov evacuates his ship and then crashes it into the three Klingon cruisers, destroying all four ships in the process and (inadvertently) all of the evacuees as well. Sulu realizes it is probably a trap and refuses to cross the Neutral Zone. His senior crew threaten mutiny but are faced down by a fellow cadet who warns of making a bad situation worse. Scotty tricks the simulation into overestimating the effectiveness of a theoretical attack against the Klingon ships' overlapping shielding. Faced with proof that such attacks, although quite valid in theory, would not work in reality and that Scotty knows this, Academy staff reassign Scotty from command school to Engineering (his true love - he used this "solution" precisely because of these consequences). Kirk reprograms the simulated Klingons to be afraid of and apologetic toward "The Captain Kirk", arguing that he expected to build a comparable reputation. In the novel Dreadnought by Diane Carey, the protagonist, Piper, a recent academy graduate, manages to crash the entire simulator by attempting to improvise an engineering solution to the problem through an unorthodox series of computer commands and jury-rigging, essentially tricking the computer into fighting itself. Her instructors admit that her solution might theoretically have been successful. In A.C. Crispin's novel Sarek, Peter Kirk, James T. Kirk's nephew, uses his experiences throughout the novel to come up with another way to defeat the unwinnable scenario, this time against Romulan opponents. Upon entering the Romulan Neutral Zone, he provokes the Romulans, who are expected to destroy the Enterprise. Before the Romulans open fire, Peter challenges the Romulan commander to a ritual fight to the death (using an obscure but still valid Romulan law predating their schism with the Vulcans), in which actual battle is prohibited until the contest is resolved. As Peter leaves the bridge to go to the simulation transporter room, he instructs the crew to beam aboard the "survivors" and escape, leaving him to certain death. The simulation ends with the supervising instructor ending the test in confusion. Upon learning of Peter's trick, he promises to change the scenario to prevent it from being re-used. Peter is credited, however, with coming up with an actual "winning" solution: saving the Kobayashi Maru and his own ship by sacrificing himself. This echoes Spock's description of his own sacrifice depicted in The Wrath of Khan as his resolution of the Kobayashi Maru test. 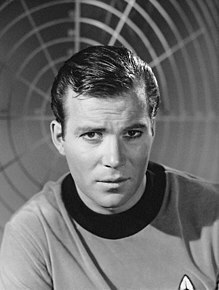 In William Shatner's novel Avenger, Captain Christine McDonald of the USS Tobias tells Captain Kirk that in her time, the Kobayashi Maru scenario is no longer used to test character, but rather to evaluate the "original thinking" for which Kirk had received a commendation. In the new version of the scenario, cadets are charged with coming up with ways to outsmart the simulation by reprogramming it to counter various moves made by the more advanced AI of the computer. In his Star Trek: New Frontier novels, Peter David suggests that future versions of the scenario would involve the Romulans. In Stone and Anvil, Mackenzie Calhoun realizes that it is impossible to rescue the Kobayashi Maru. He uses the unorthodox solution of destroying the Kobayashi Maru itself. He determines that a rescue attempt will be unsuccessful, would likely end in failure and would probably also result in his own ship being destroyed or captured. His reasoning is that it is more merciful to kill the civilians outright rather than let them be captured (and likely tortured) by the Romulans. Alternatively, he proposes the possibility that the entire scenario is a Romulan trap and the Kobayashi Maru is in league with the Romulans, so destruction of the Kobayashi Maru is a valid attack on an enemy. Three short stories in the Strange New Worlds anthologies series have also tackled the test. In "The Bottom Line" by Andrew Morby (Strange New Worlds III, 2000) and Shawn Michael Scott's "Best Tools Available" (Strange New Worlds VI, 2003), cadet Nog solves the scenario in two entirely different (and thoroughly Ferengi) manners. Kevin Lauderdale's "A Test of Character" (Strange New Worlds VII, 2004) depicts a different version of Kirk's solution from Ecklar's, in which Kirk's tampering is "cheating without cheating," since he merely creates a level playing field where success is not necessarily guaranteed. In this novel by Andy Mangels and Michael A. Martin, the scenario occurs as an actual plot event instead of a training exercise. The Kobayashi Maru is a retrofitted Klingon cargo vessel under Earth control and with a human crew. When the ship is struck by a gravitic mine, Captain Jonathan Archer and the crew of the Enterprise are sent to assist. Though forewarned that the Enterprise is entering a trap set by the Romulans, Archer attempts to rescue the crew and passengers of the Kobayashi Maru. At this point three Klingon cruisers being controlled by remote Romulan telepresence systems drop out of warp and begin attacking the Enterprise. As the ship's systems begin to fail from Romulan attempts to capture Enterprise via the same telepresence systems, Archer is forced to withdraw, preventing the capture of Enterprise but leaving the Kobayashi Maru to be destroyed. In the video game Star Trek: Starfleet Academy, one of the missions assigned to the player is the Kobayashi Maru scenario. The player – who controls the character of Cadet David Forrester – has a choice to make before the test. The player can have Forrester face the unaltered version of the test, or have Forrester reprogram the computer as Captain Kirk did, altering the scenario in one of three ways. He can reprogram the Klingon AI, making them fight poorly (they do not fire at all), reprogram the strength of the Klingon ships by making them easier to beat (in addition, their weapons cause no damage), or make the Klingon captains fear and respect him personally (Kirk's solution from the novel). If the player cheats by altering the battle itself, he is treated to two larger waves of Klingon D7 cruisers after destroying the initial wave of three. After destroying those waves, the simulator computer crashes with a Guru Meditation error, and in debriefing the commandant remarks that he would be impressed were it not for the impossibility of such a feat. If the player cheats by instilling fear and respect into the Klingon captains, he is able to hail the Klingons during the scenario. The Klingon captain extols Forrester's prowess, and agrees to help him rescue the freighter instead. This allows the scenario to complete successfully, and the commandant seems truly impressed in debriefing. No matter how the player cheats, if he chooses this option the cheating is detected by Academy staff, and Forrester is offered a chance to avoid punishment by helping the authorities with an ongoing criminal investigation. If the player decides to face the unaltered version, the ship is swiftly destroyed by the first wave of D7 cruisers, or if they opt to not rescue the ship, they are forced to listen to the crew of the Kobayashi Maru die. It is possible to defeat the Klingons in the unaltered version; however, before the player can rescue the crew of the Kobayashi Maru, the game bugs out and the player's ship blows up anyway even though there are no Klingons left. The video game Star Trek: Klingon Academy offers an alternate version of the Kobayashi Maru test, though conditions are entirely different - The player, who controls the character of Cadet Torlek, is assigned to prevent an incident between the Klingon Empire and the Tholian forces on approach, in the midst of a simulated Klingon-Federation war. Unlike the choice of saving lives or not, the player has the choice of either attempting to perform his duty but failing, in which the Klingons are forced to compromise their campaign to hold back the Tholians, or to sully his honor by collaborating with the Tholians and surrendering Colonel Poktarhl (Torlek's commanding officer), but ultimately ending the incident. Regardless of the result, the player is berated by General Chang for his deeds, and Chang's response can depend on Torlek's attitudes - If the player accepts the punishment, Chang will be severe but ultimately retain the player, given only his success record, so far. If, otherwise, Torlek berates Chang back, on the conditions of this test, Chang will calm Torlek down and expose this was intentional, meaning to have Torlek question the 'injustice' of the test, reassuring him no one is dismissed from the Klingon Academy for failing this one particular simulation, though all others are punished with summary discharge. In the video game Star Trek: Starfleet Command III, one of the campaign missions is titled "Klingon Maru". However, the player can rescue the ship and not fight a battle. There was also a Kobayashi Alternative video game published by Simon & Schuster in 1985. The game was a text adventure written by Diane Duane depicting the "Kobayashi Alternative Command Performance Evaluation", a test being proposed to replace the Kobayashi Maru scenario, and was available for the Apple II, Commodore 64, MS-DOS PC-compatible, and Macintosh platforms. The first mission of the first-person shooter, Star Trek: Voyager: Elite Force, developed by Raven Software and published by Activision in 2000, is considered Ensign Munro's (the player character's) Kobayashi Maru by Commander Tuvok. In Star Trek DAC for XBLA and PlayStation Network, there is a trophy called Kobayashi Maru that is only achievable by entering a cheat code. Paramount, the publisher of the game, leaked the cheat code in a press release. In Star Trek Online, the Fleet Action mission released on July 12, 2012, titled "No Win Scenario" pits a 5-player team against progressively harder waves of computer-controlled enemy ships who attempt to destroy the stationary freighter. The mission ends when the freighter is destroyed or the team defeats all 10 waves. Defeating higher waves rewards players with increased numbers of Fleet Marks and unlocks several Accolades and Captain Titles. Defeating the ninth wave yields the "Original Thinking" accolade and grants the "Original Thinker" title, and defeating the final wave rewards the "I don't believe in the No-Win Scenario" accolade which grants the title "Kirk's Protégé". In Star Trek: Bridge Crew, which was developed to be played in virtual reality in 2017, the first level ends with the same Kobayashi Maru test as part of the mission to be solved. No moral choice of lateral thinking is involved here. In practice the mission serves to train the players how to coordinate their actions and alternate between beaming survivors aboard and combat. Entertainment Weekly called the Kobayashi Maru test one of the top ten elements of Star Trek with which non-fans are likely to be familiar. Business theory commentators have used the Kobayashi Maru as an example of the need to redefine the foundation upon which a business competes—changing the rules rather than playing within a rigged game—as an example of successful business strategy. Randy Pausch, of Last Lecture fame, had the childhood dream of "being Captain Kirk". After being diagnosed with pancreatic cancer (which proved fatal nearly two years later) he received a signed autographed picture of Kirk with the inscription, "I don't believe in the no-win scenario. My Best, Bill Shatner"
The Kobayashi Maru has been used by computer security educators to teach students to think like an adversary, that by stepping outside the rules of the game you can redefine the game. ^ a b Nicholas Meyer, William Shatner, Leonard Nimoy, Kirstie Alley (1982). Star Trek II: The Wrath of Khan (DVD). Paramount. Retrieved 2007-11-09. ^ "GAMING :: TrekCore". Gaming.trekcore.com. Retrieved 2012-05-20. ^ "Star Trek's Secret Achievement Revealed". xboxlive.ign.com. Archived from the original on 2009-05-23. Retrieved 2009-05-13. ^ "Release Notes: July 12, 2012 (Season 6: Under Siege)". 2012-07-12. Retrieved 2013-02-15. ^ "Star Trek: Bridge Crew makes zapping Klingons in VR a hoot". Dean Takahashi. 2017-04-17. Retrieved 2018-04-18. ^ "Try to beat Star Trek's no-win Kobayashi Maru test, flowchart-style". Amanda Kooser. 2016-06-28. Retrieved 2018-04-18. ^ "Angespielt: Star Trek Bridge Crew ist eine der bislang besten VR-Erfahrungen". Alexander Gehlsdorf. 2017-04-24. Retrieved 2018-04-18. ^ Franich, Darren (May 6, 2016). "'Star Trek II: The Wrath of Khan' is a movie about acting". Entertainment Weekly. Time Inc. Retrieved July 22, 2016. ^ Olenick, Michael (2008-02-08). "Redefining Markets: Captain Kirk & the Kobayashi Maru". Valueinnovation.net. Archived from the original on 2012-07-08. Retrieved 2012-05-20. ^ "March 17th, 2007: A note on staying positive". Download.srv.cs.cmu.edu. Retrieved 2012-05-20. ^ Gregory Conti and James Caroland. "Embracing the Kobayashi Maru: Why You Should Teach Your Students to Cheat." IEEE Security and Privacy , Vol. 9, No. 4, July–August 2011, pp. 48-51.